The Great Lakes Timber Show is a touring act that goes around the country and sometimes comes to Nashville for the Tennessee State Fair. 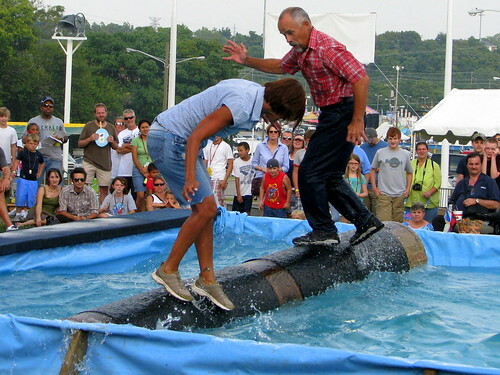 The finale of the show is a log rolling contest between these two contestant. Who ever stays on the log the longest wins. Contestants can try to spin the log or bounce it up and down, but no contact between the two of them is allowed. The Dam seen here was in the news yesterday. Here is the NewsChannel5.com story of a teen who was carried away by the current of the river and nearly pulled over the 25 foot tall day and had to cling to the top of the dam until rescue personnel could arrive. Originally, there were multiple mills up and down the river through here, but in 1902, a hydroelectric dam was built, but is not in use anymore. According to a photo on the historical marker nearby, this bridge was already here when the dam was built. 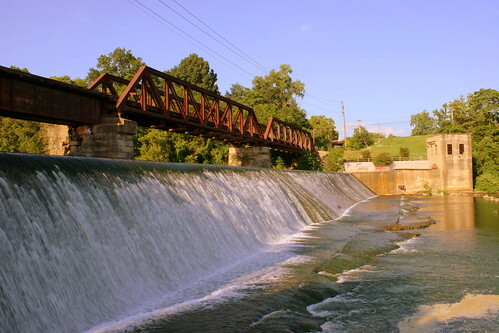 The dam is on the National register of Historic Places. On the day I took this photo two summers ago, there were a couple of teens sitting underneath the bridge along the piers. Can you see them? If not, click the photo to see an enlarged version. Cambria is a city in Montgomery County, VA that has now been swallowed up by Christiansburg, but with its old city center intact. This depot is significant for two reasons. 1) It's one of the oldest in the state and is one of two surviving depots in southwest Virginia that dates back to the Reconstruction period. 2) Architecturally, it was designed in a high style Victorian Tuscan Italianate style, with an imposing central tower, overhanging eaves and a deep bracketed frieze. 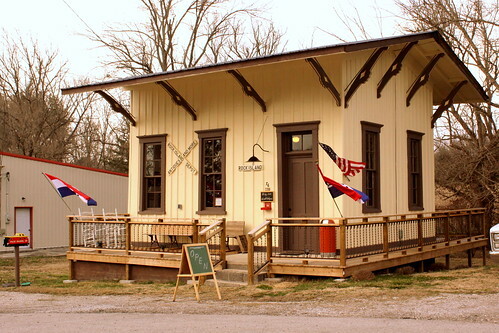 After the original Virginia & Tennessee Railroad depot was burned in the Civil War, this depot was reopened in 1870. Passenger service stopped in 1960. 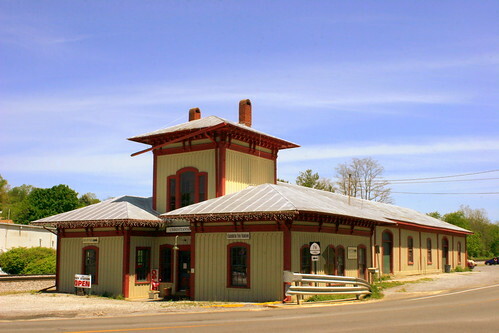 Like many trian stations, it fell into disrepair for a couple of decades until 1983 when locals bought the historic building to restore it. 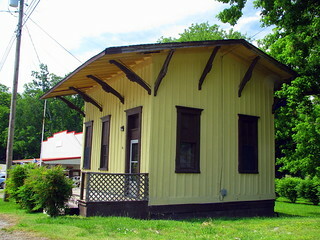 In 1985, the depot was added to the National Register of Historic Places and the Virginia Historic Register. In 2007, one area opened as the Cambria Toy Station and in 2009 a museum opened on the other side. Let's spend a moment to see some of the War Memorials in the area. 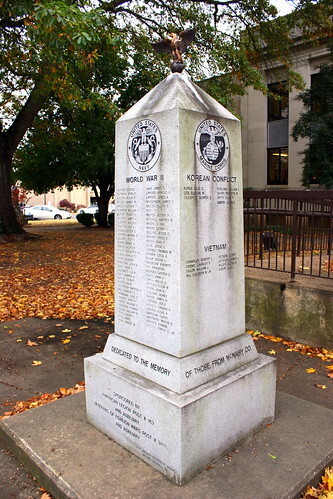 Hardin County War Memorial, in front of the county courthouse in Savannah. 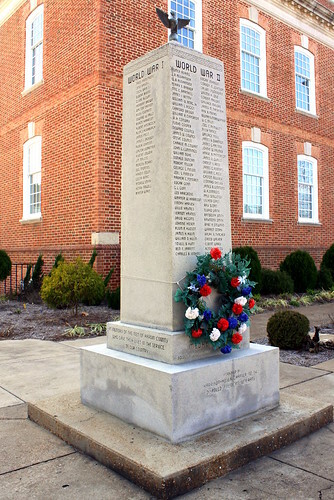 Bledsoe County War Memorial in front of the county courthouse in Pikeville. 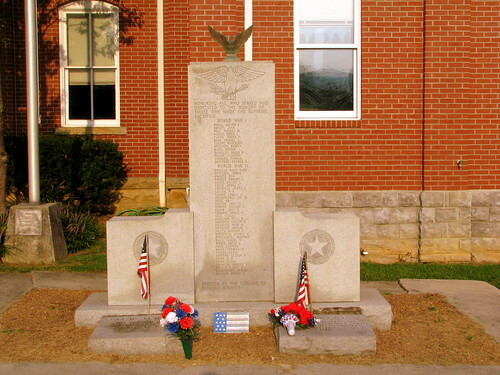 McNairy County War Memorial in Selmer. 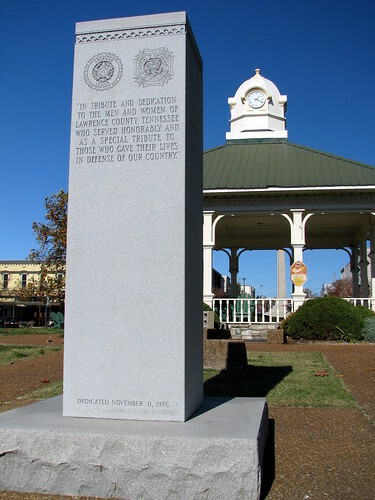 Lawrence County War Memorial in the town square of Lawrenceburg. This one honors an individual, Ssgt. 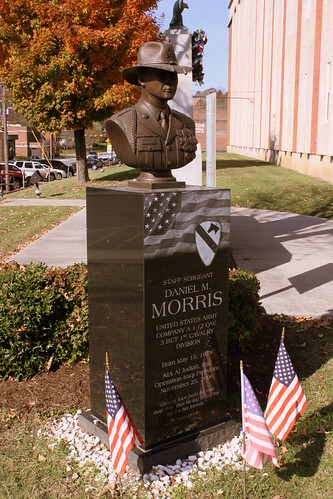 Daniel M Morris is memorialized here on the grounds of the Anderson County Courthouse in Clinton, TN. Depending on which way you are travelling along highway US129 in Graham County, NC, there is a message on this advertising barn for you. The barn is located near a bend in the highway, so one message is on the south side of the barn, and the other message is along the west side. This is one of those barns that looks like it is being held up by the paint on the barn, so it may not last too much longer. 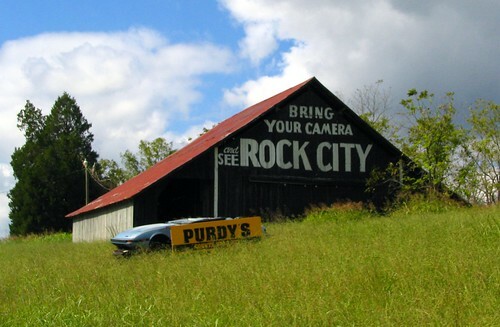 This is the 76th out of 81 different Rock City Barn I have photographed and uploaded to Flickr in my Rock City Barns set. People often ask me how I've found so many of them. I have drawn from many resources such as books and web sites and sometimes luck, but there's not really one "go to" place to find them all. Well, now on my website, I have tried to create a one stop source for the locations of all of the barns I've been to. On my Map of Rock City Barns page, I have plotted each barn on a Google Map. "Thank you Brent for posting this sign. This is my Dad's business. It is the oldest business in Parsons, Tn. He is Ralph Smith and is 91 years old and still running this business today. It was started by my Granddad, Robert Smith in 1921 the year my Dad was born. I now live in Jackson, Tn. 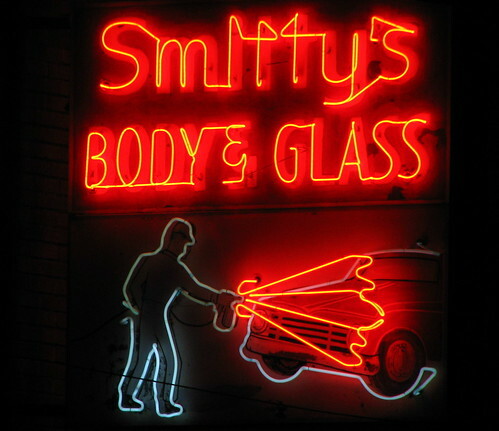 but I stumbled up on this picture and I remember when this sign was bought from a company here in Jackson, Tn. called Den Ray Signs. It was a surprise for him from my Mom which we lost three years ago. I know I don't know you but thank you again, you have made my day for sure. Robin S. Jones"
The Falls at the "Falls of the Ohio" were a long series of rapids caused by rock outcroppings which caused the river elevation to drop 26 feet over a couple of miles. This made the Ohio rather unmanageable for river traffic. In 1830 a lock and dam was built in the area so that river traffic could navigate the river. Over the years, the lock and dam have gone through modernization and improvements. As a result, the falls don't fall any more as they are mostly underwater. Instead, there is now calm waters and an area that can be enjoyed as a state park. Large areas of rock bed are exposed and extensive fossil research is done. It's also a great place for viewing various wildlife. 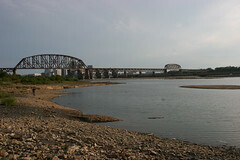 Also in the picture is the Falls of the Ohio River Bridge, with downtown Louisville as a backdrop. 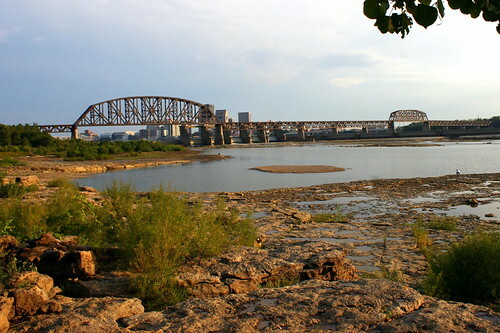 The bridge was originally built in 1870 to be used by Louisville & Nashville and Jefferson, Madison & Indianapolis Railroad. In 1919, the bridge had to be reconstructed and reopened in 1920. It is wide enough for two tracks but only one is in use today. 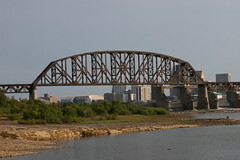 Today, the bridge is owned by Louisville and Indiana Railroad. The largest span is on the KY side, which is 644 feet long and is a lift bridge. the entire bridge is 5218 ft. long. 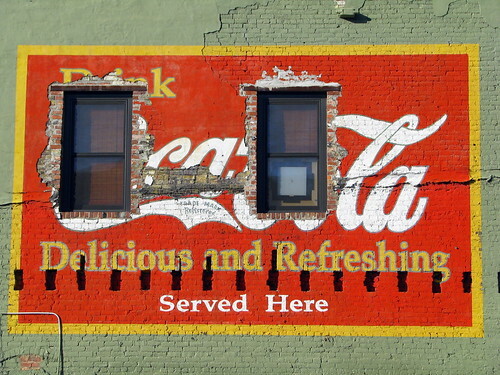 This old mural, with the C's busted out for windows, is located in downtown Chattanooga in the building that used to be the Grand Hotel. The Grand Hotel is on Market street across from the parking garage next door to the Chattanooga Choo Choo. Many Nashvillians have driven White Bridge Road on the southwest side of town, but this is the White Bridge the road was named after. 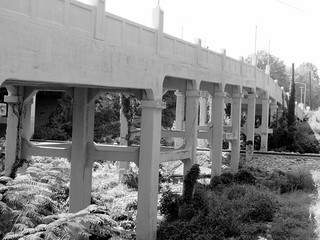 Cars don't drive over the bridge anymore as today White Bridge Road meets up with Woodmont Blvd at West End. 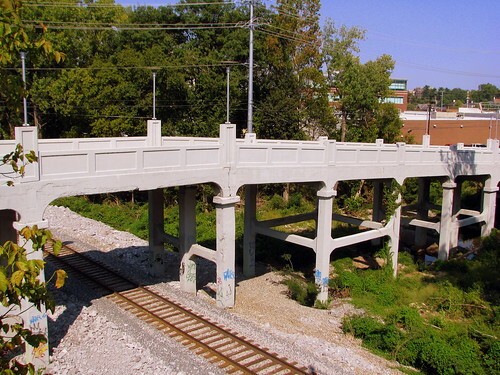 White Bridge was engineered by Howard Jones who also also engineered the Shelby Street Bridge. 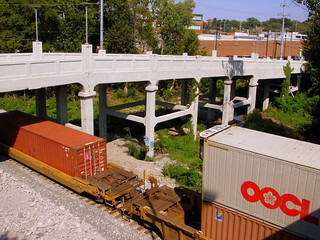 When it was constructed in 1913, it was an important link across the railroad and Richland Creek. Not too long ago, the long unused bridge was made a part of the Richland Creek Greenway. Also accessble from this greenway is the site of the Great Train Wreck of 1918 when two trains collided on the tracks about a mile from here. 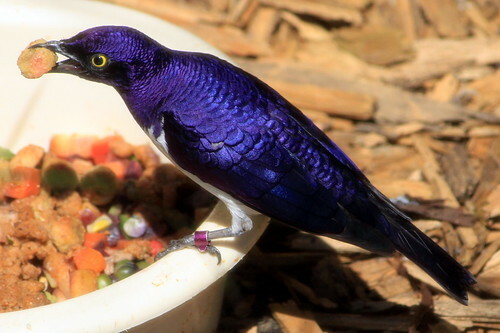 This vibrantly solid-colored bird which is also known as the Plum-coloured Starling or Amethyst Starling, is a relatively small species of starling in the Sturnidae family. This strongly sexually dimorphic species is found widely in woodland of mainland sub-Saharan Africa. He looks to be enjoying a tasty morsel of bird chow and is located at the zoo's rather new giraffe exhibit. 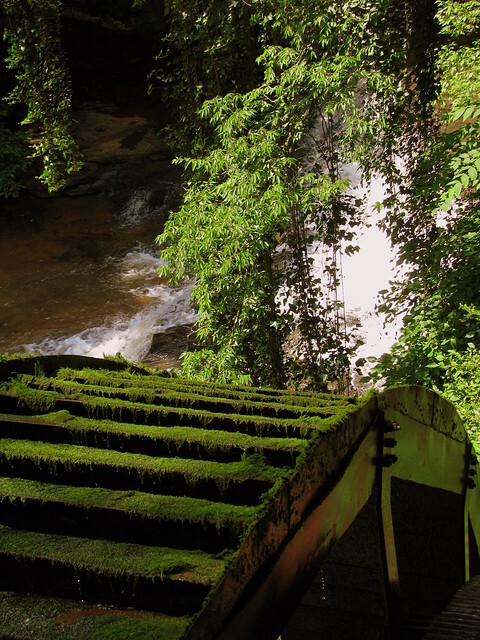 Upstream from the first waterfall is an 8 foot high dam which routes water into a millrace to supply water to the waterwheel. The first two wheels were wooden, but for a more permanent solution, a steel with cast iron gears. This 32 foot tall and 4 foot wide wheel from the Fits Waterwheel company of Hanover, PA was installed in 1906 and is believed to be the tallest overshot waterwheel still in productive service in the U.S.
Nolensville, TN along US31A/41A. Here is a picture of the historical marker. This church building had a cameo in the mid 1990s movie "The Thing Called Love." 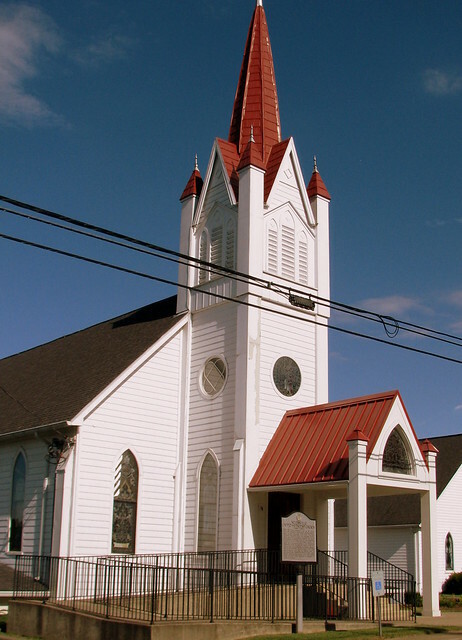 At the beginning of the movie, the main character is riding on a bus to Nashville and this church is clearly seen out the window. Near the Climax of the movie as she gets on a bus out of town, she passes the same building again. Here is an example of an old Majestic Home that has been repurposed after a commercial development has sprawled up around it. Revolutionary War General Robert Irvin settled here in 1807. Work began on this house in 1838 by his son Robert Irvin Moore and their family lived in the house until 1944. 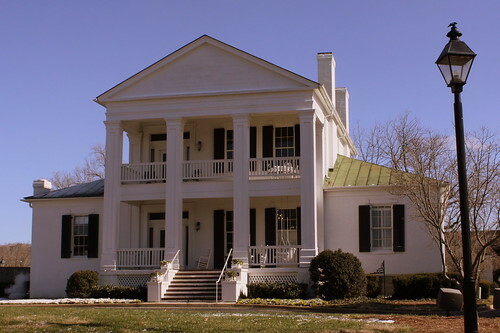 During the Civil War, both sides used the Greek Revival home as a hospital. 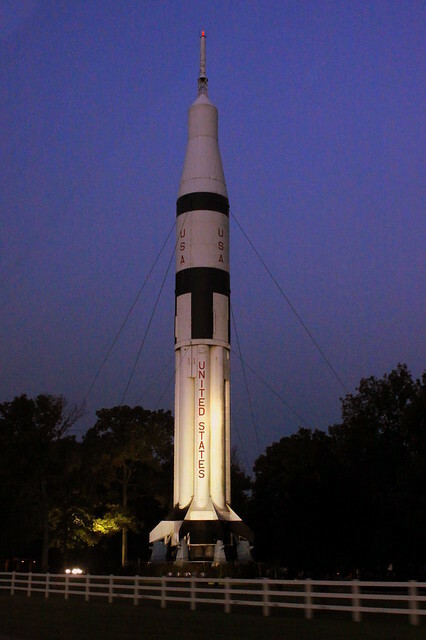 Millions have seen this Rocket at the Alabama Welcome Center and rest area along Interstate 65 near the Tennessee border. I happened to see it very early in the morning and I was surprised at how well it came out despite being so dark and from a car going 70mph. Specifically, this one is SA-211 and was never actually used by NASA on a flight mission. 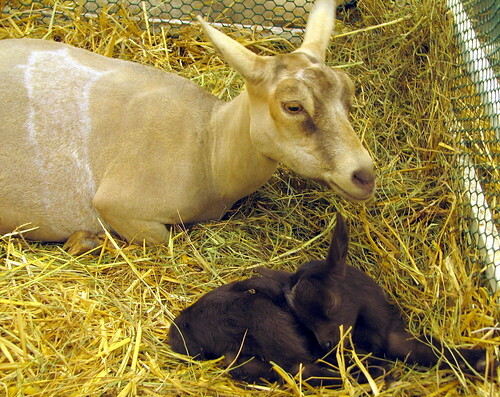 Depending on what day of the Tennessee State Fair you go on will determine which animals you can see. 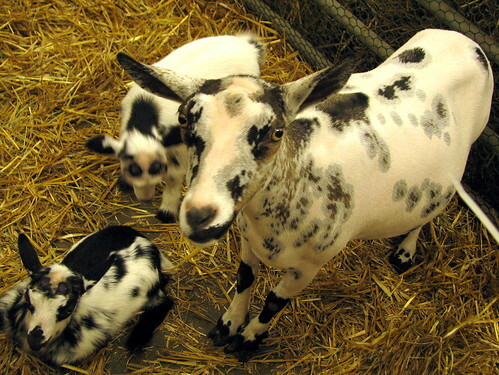 On this particular day, the building was full of goats, and some of them we mother goats protective of their kids. 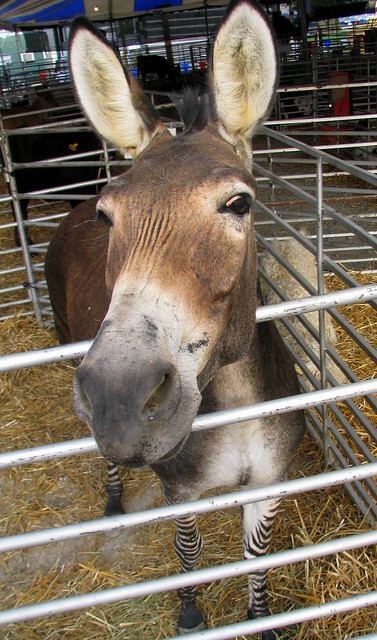 As part of the petting zoo at the 2009 Tennessee State Fair is a Zedonk. 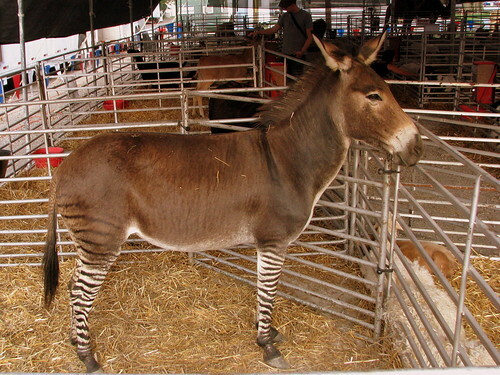 It's a half zebra and half donkey, and sometimes called a Zebroid or Zonkey. 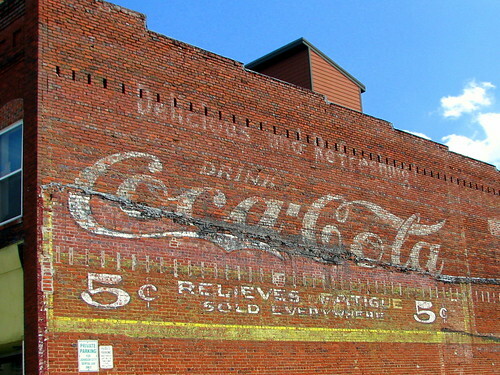 For an old unrestored Coke Mural, this one is rather well preserved. It looks like there was another building that used to be next to this one. 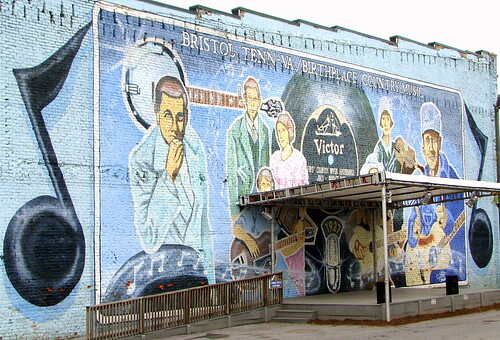 It would have been built after the mural was painted and then torn down more recently. 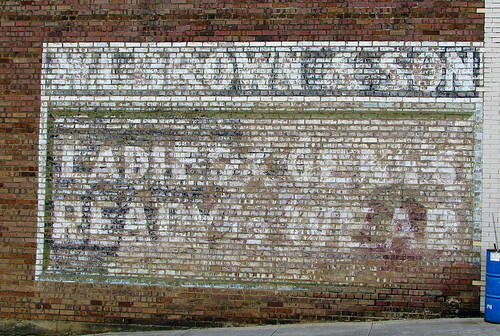 Thus, the bottom half of the fading ad (below the seam) was less exposed to the elements and retains more of the paint. Located along US 11, Lee Highway in McMinn County about 2 miles north of Sweetwater, TN. 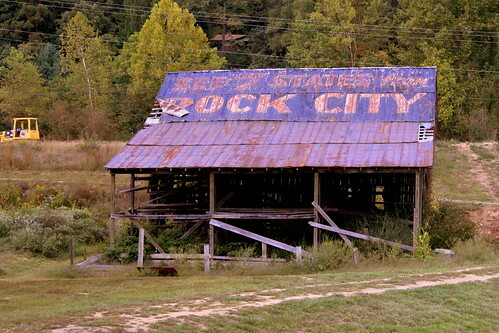 This is one of 80 different Rock City Barns I have photographed and uploaded to Flickr in my Rock City Barns set. People often ask me how I've found so many of them. I have drawn from many resources such as books and web sites and sometimes luck, but there's not really one "go to" place to find them all. Well, now on my website, I have tried to create a one stop source for the locations of all of the barns I've been to. On my Map of Rock City Barns page, I have plotted each barn on a Google Map. 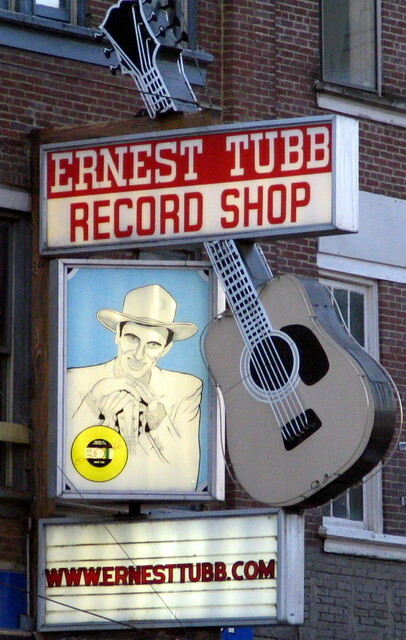 Established in 1947 and one of Many Nashville Country Music institutions, this record shop of one of the industry's greats is located along Broadway in downtown Nashville. One of the things the shop is best known for is the Midnite Jamboree every Saturday after the Grand Ole Opry finishes its WSM broadcast. WSM brings its microphones here as well and back in the day it was a short walk from the original Opry at Ryman Auditorium. The three-sided sign rotates as well. The first side seen here shows Tubb with the Decca single "Walking the Floor Over You." Side two advertises the Midnite Jamboree. Side three advertises they ship anywhere in the world. See sides two HERE and three HERE. 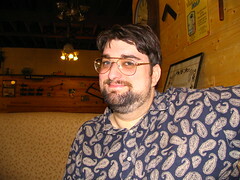 In the 7 years since this photo was taken, there have been plenty of changes. First, a skyline wouldn't be complete without the Pinnacle on the left. Also, the Bellsouth building is now the AT&T building. Also Caremark has CVS added to it. 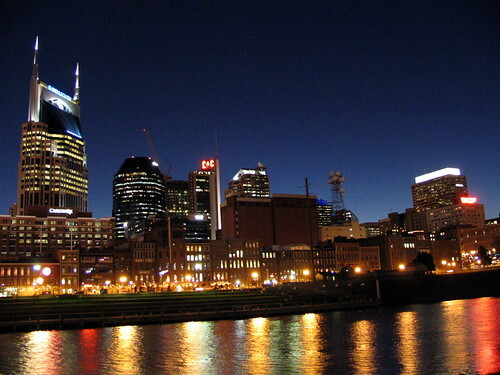 Occasionally, I'll post an image for a place that's a day's drive away from Nashville and I thought I'd do that today. 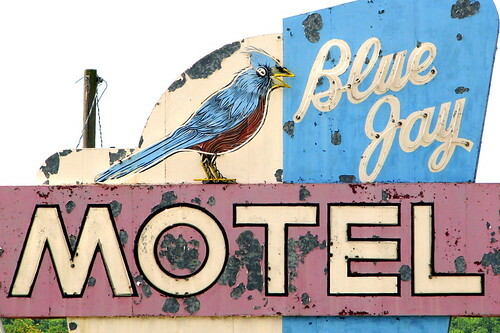 What a wonderful neon sign for a motel that is still in business. 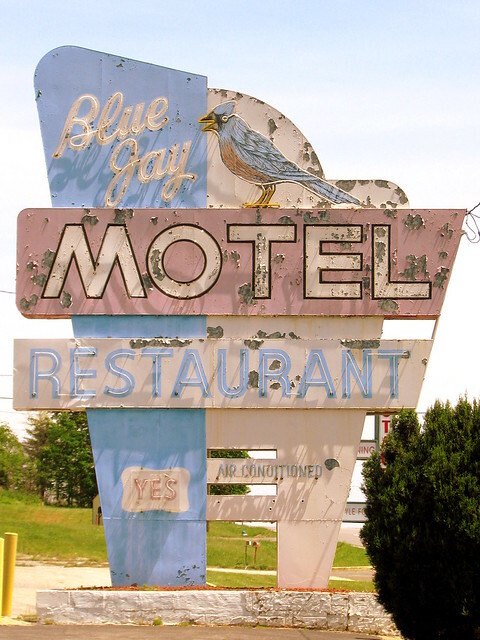 The Blue Jay Motel is along US11 about 5 miles west of Salem, VA. It's probably still in business along the old highway because it is right next to an interstate exit. Unfortunately, the owners either didn't like this look or thought it was too hard to maintain as is and a few months after I saw this they removed all of the neon tubing and gave it a fresh coat of paint. 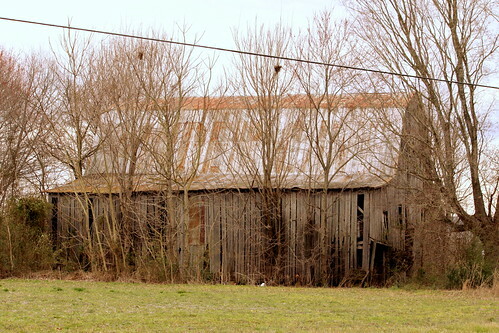 For fans of barns painted with advertisements for classic tourist attractions, Highway US41 between Murfreesboro and Monteagle has several that still remain. 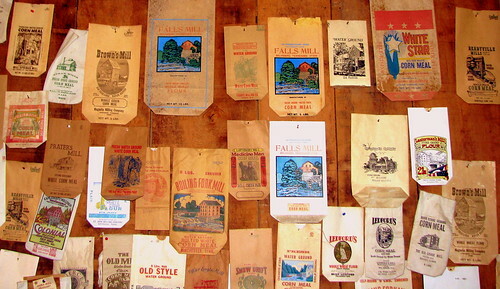 You'll see a handful of these barns for Rock City, Ruby Falls and Meramec Caverns. On my most recent drive, I discovered this one that I had previously always missed when the trees were in bloom. There the barn hides most of the year at this spot less than 10 minutes south of Manchester. 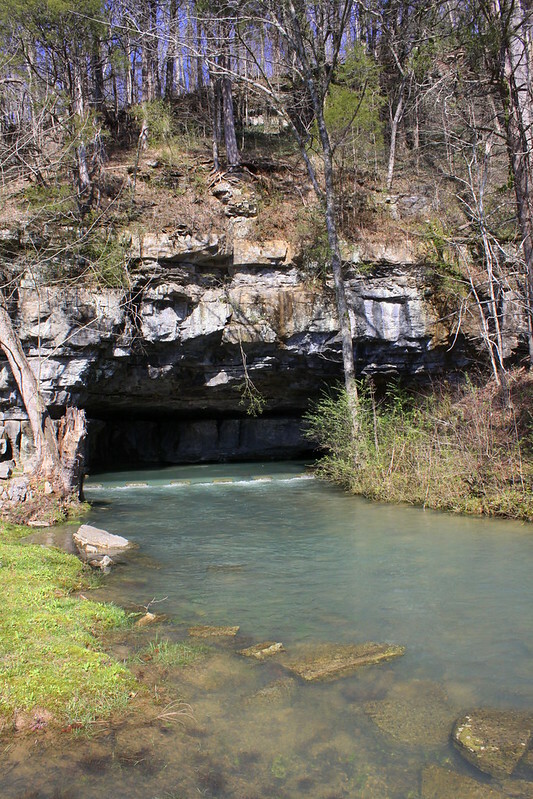 The cave is located near the base of the Cumberland Plateau in Grundy County. Back in the days of the Dixie Highway which later became US41, the turn to get to the cave was located at the last turn before making the ascent to Monteagle. 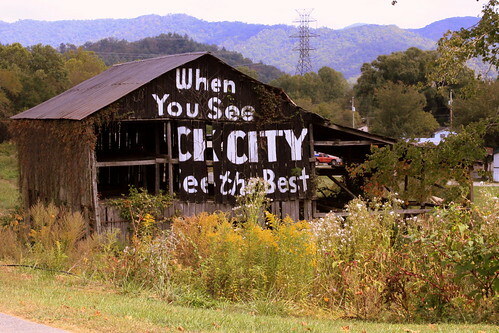 Everyone travelling from Nashville to Chattanooga would have passed this barn and then the sign pointed to the entrance. As has been the case with many "impulse" tourist attractions, the opening of the interstate killed off this business. 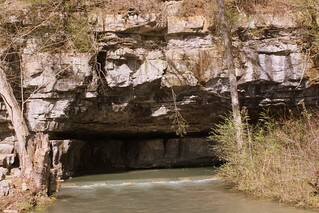 Now people take I-24 through the area and the Cave soon went out of public. It reopened again but soon closed thereafter circa 2000. 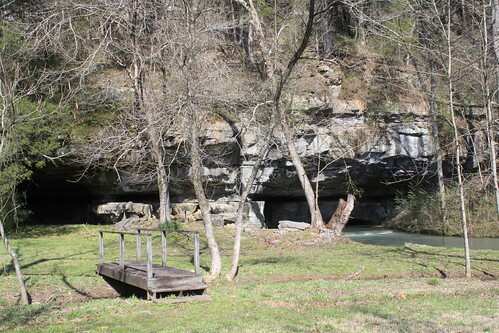 Even though it's not open commercially these days, I hear it's possible to get in the cave if you do a little research.